I am not a typical package tour person and as a first experience I found this well run and good overall. Great fellow travellers and brilliant guides! The trip was well organized and ran pretty much as noted in trip notes. Food was good as was the accommodation. Guides were well-prepared and listened to concerns of the group. After being issued with a helmet and a mountain bike, your guides will brief you on mountain biking and give you an opportunity to practice at the hotel. 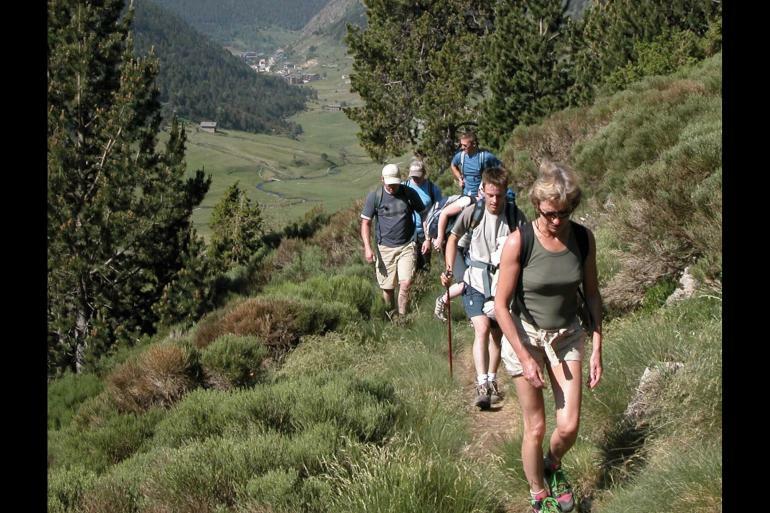 Afterwards, take a 40-minute transfer to the picturesque Ordino Valley. Begin your mountain biking decent at El Serrat, which is the start of Andorra's old iron route. Easy-going off-road tracks take you past old iron mines, mills and forges, finishing in the village of Ordino. The wide dirt tracks are car-free. Though the ground might be a bit rough in places, only basic mountain biking and good normal cycling skills are needed. After a rest and refreshment in the village, get back in the vehicle and head up to the Col de Beixalis (1,800 metres above sea level). 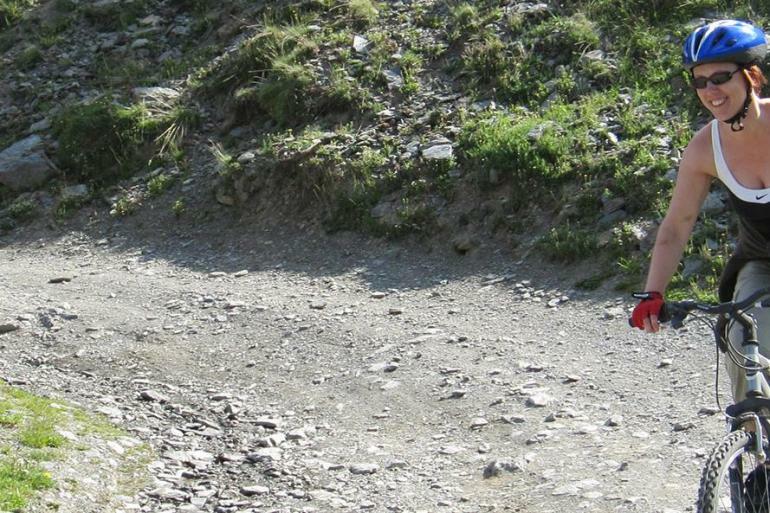 Jump on your bike and take a thrilling seven-kilometre off road descent into Encamp. From here, it's a 15-minute drive back to the hotel. You should arrive between 4 and 5 pm. Note: Throughout the day there will be full vehicle support, so if you'd prefer not to bike, you can walk and/or ride in the vehicle.